1. In a deep bowl, crumble the white bread without crust and mash with a fork in warm milk. 2. Chop the green onions, dill and parsley, add to the bowl. 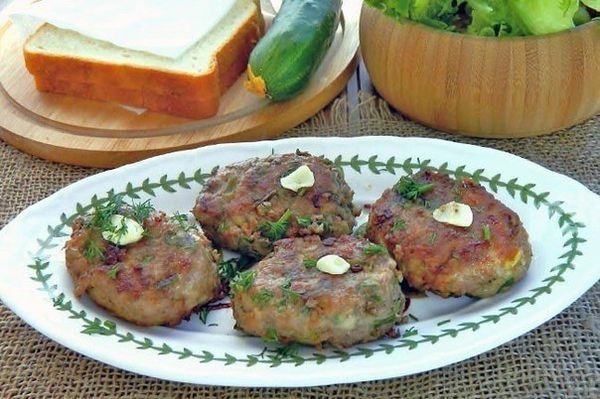 On a bed of sodden bread and greens put minced meat, drive an egg. 3. Top poperchit.Tschatelno salt and mix all ingredients. 4. Wet hands form a lush burgers. Sprinkle / roll in flour, prepared for frying. 5. 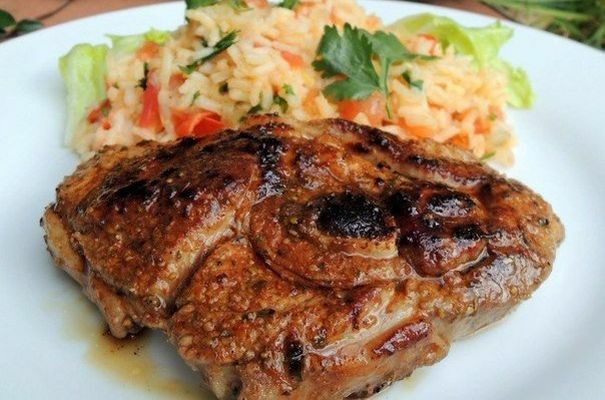 Fry the patties in a deep frying pan: pour a little oil, a good warm up, arrange the cutlets and fry on both sides until brown, turning occasionally, no more than 7 minutes. Then hold the meatballs 5 minutes under the lid. The final stage — quickly browned on both sides. 6. Hot patties cottages serve immediately to the table. As a side dish fit crumbly buckwheat and potatoes in any form, boiled rice and pasta, fresh / steamed / baked vegetables.